Are you ready to start shooting competitively? Yes? Let’s get you started! 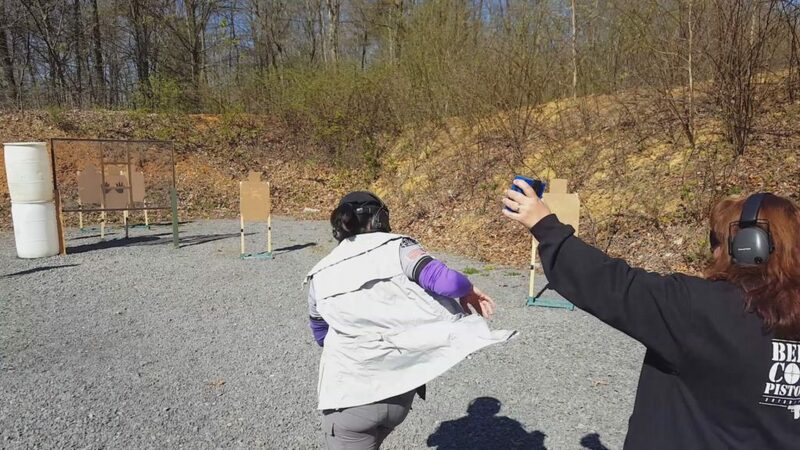 IDPA, International Defensive Pistol Association, is a popular action pistol sport: running with guns, with rules and scenarios rooted in self-defense skills. It’s also a great place for new competitive shooters to start because it doesn’t have complicated or expensive equipment needs. An IDPA stage based on a scenario where the shooter is attacked while at work. In this guide, I’ll walk you through everything you need to know to launch your IDPA career, including how matches work, and how to get into this exciting shooting sport. Bonus: Check out our competition shooting guide to learn more about competitive shooting in general. The first thing you’ll need to do is to find an IDPA match to shoot. Fortunately, with nearly 400 clubs across the United States and over 100 more around the world, there are many options almost no matter where you’re located. The IDPA website includes a search tool for clubs, as well as a way to search for individual matches posted by the clubs. Some of the upcoming major IDPA matches around the country. Not a lot in California, for some reason. All officially affiliated IDPA clubs are on the IDPA website, but not all of their matches. You might instead need to email the individual club contacts or ask around locally at your local gun shop or in regional forums or Facebook groups. Googling IDPA and the name of your nearest big city can help too. Do you need to sign up in advance or can you just show up? What time does set up start and when does the match begin? What is the match fee? Is there a new shooter orientation and when is it? Is there anything special you need to know about for when you show up? For example, how does the club deal with people who have loaded carry guns with them? Once you’ve found a match and fit it into your schedule, it’s time to get ready! Should I be a member first? 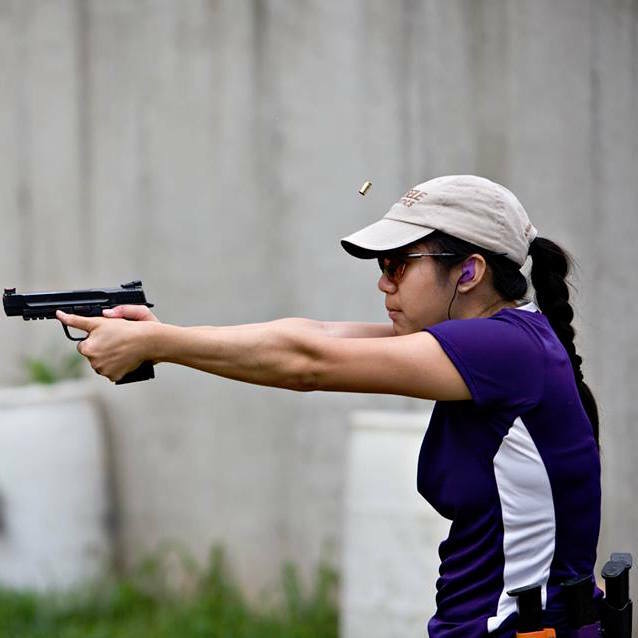 Membership in IDPA is not required to shoot your first few matches; the rules ask that you join if you want to stay in the sport after your third match. Not all clubs will check, but there are many benefits you can get for the $40 it costs for an annual membership so you might want to join sooner rather than later. One of the primary advantages of IDPA membership is the ability to be officially classified. We’ll talk a little more about divisions and classifications below, but for now, you should know that being classified is what allows you to compare your performance against other people who are at roughly the same level as you are, even if you’ve never met them before. Classification also helps you track your progress over time. You also need a membership, and a classification, in order to compete in sanctioned matches. These are larger matches than the regular matches held by most local clubs, and can include people from all over the world who come just to compete. They’re a great way to get to know more shooters and to see how your shooting stacks up against more than just your friends. Sanctioned matches let you shoot with friends from all over and maybe win a few trophies! Finally, IDPA membership means that your scores are collected in one place for you to keep track of – in your member profile on the IDPA website. And you’ll get a subscription to the Tactical Journal, IDPA’s quarterly magazine that covers not just clubs and matches, but also features member profiles and tips to improve your shooting. So now that you’ve gotten figuring out whether to join IDPA out of the way, what’s next? But what do I neeeeed? Deciding to shoot a match is a good first step, but you have to make sure that you have both the gear and the skills that you need to succeed. Let’s start with the skills, because the gear is likely something you have or can borrow until you’re ready to go shopping for more. 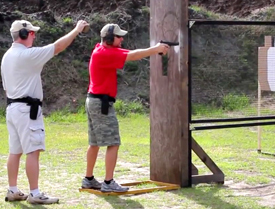 IDPA is a pistol competition based on defensive shooting skills. That means you must be able to safely draw your gun out of a concealed holster, as well as safely reholster it when you’re done shooting. A simple IDPA stage including drawing from concealment, shooting while moving, and reloading. You’ll also need to be able to perform basic gun manipulations by yourself: loading, reloading, fixing malfunctions, and unloading. 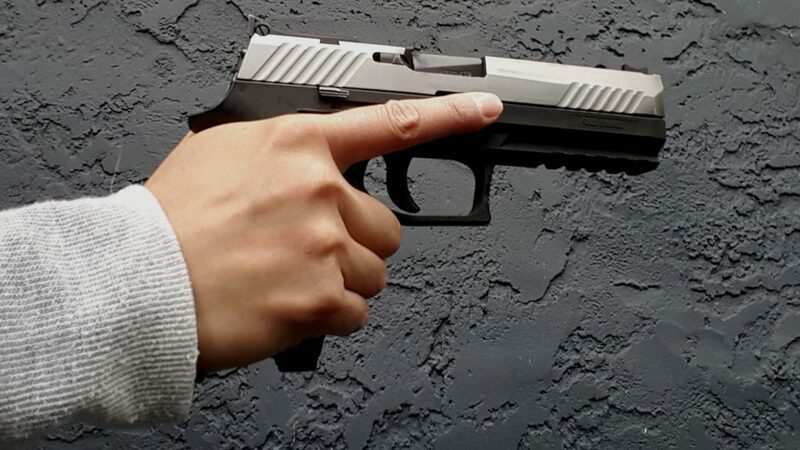 All that while you might not even be standing still – so you should be able to safely move with a gun in your hand, keeping it always pointed in a safe directly with your finger outside of the trigger guard. Being able to shoot or move quickly is not a requirement. You should be able to generally hit the targets, but missing is okay too as long as you aren’t doing things like shooting over the backstop. You don’t have to do it fast or even particularly accurately when you’re getting started. As for gear, you will need a gun. Fortunately, you probably already own one that can be used for your first few matches. Don’t worry if you think your gun might not be “competitive” – there are divisions for all sorts of equipment, and you only compete against those who have guns that are roughly similar to yours. 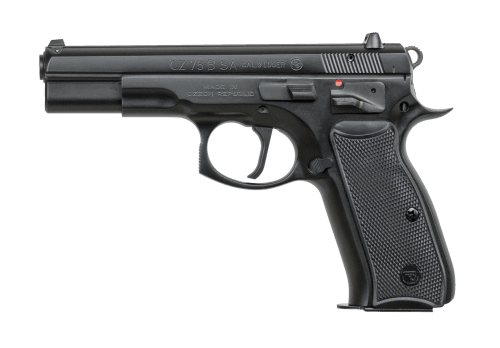 SSP guns are production semiautomatic pistols that are either double/single action, double action only, or striker-fired and shoot 9mm or larger calibers. They’re required to meet certain weight and size requirements, and have only very limited modifications. If you shoot SSP, you start with 10 rounds in each magazine and one in the chamber of the gun unless directed otherwise. SSP is the home of most of the common full size handguns you can buy today, like the Glock 17 ($589.99 – $599.99), the Smith & Wesson M&P ($549.00), the SIG Sauer P320 ($499.00) the H&K VP9 ($579.00) and similar. 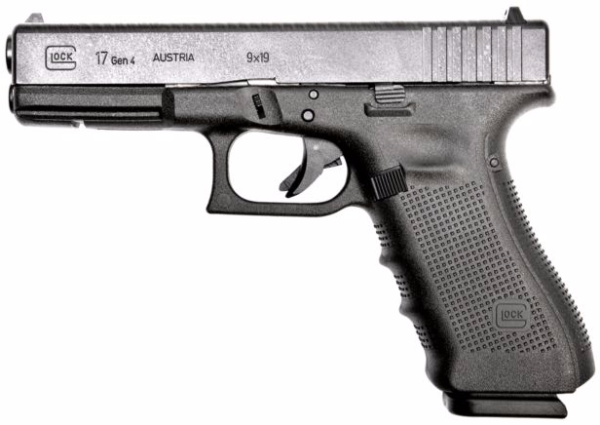 The Glock 17 is almost always a good choice. 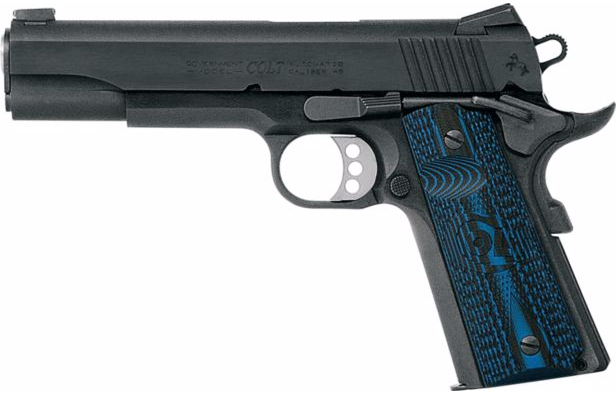 ESP is similar to SSP, but single action only semiautomatic pistols are also allowed, along with more modifications. Because of the modifications permitted, you’ll see many of the same guns as in SSP but with additions like aftermarket triggers or magazine wells. ESP is also where guns like 9mm 1911s or single action only CZ-75s ($679.99) come to play. Again like SSP, magazines start loaded with ten rounds. ESP and SSP are very often the most popular divisions at any IDPA match. CDP guns are all .45ACP semiautomatic pistols. The relevant rules are otherwise similar to ESP, except that magazines start loaded with eight rounds. It’s the perfect place for your classic 1911 to come out and play. CCP is the baby sibling of ESP 8 rounds, literally. All ESP rules apply except that the gun itself must be smaller with a shorter barrel and only eight rounds maximum in each magazine. 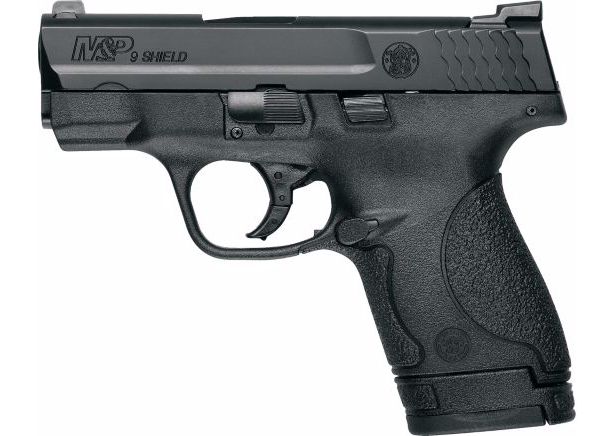 Common carry guns like the Glock 19 ($499) or the Smith & Wesson M&P Shield ($374.99) are popular in CCP. REV is where the wheelguns are bucketed in two separate subdivisions. Stock and Enhanced REV guns have slightly different size and minimum caliber requirements, with Stock REV being smaller guns shooting .38 special or larger rounds and Enhanced REV being larger guns shooting .357 magnum or larger. Enhanced REV shooters also have the option of using moonclips to reload and can have more modifications than Stock REV. In either case, REV can be loaded or reloaded with a maximum of six rounds. 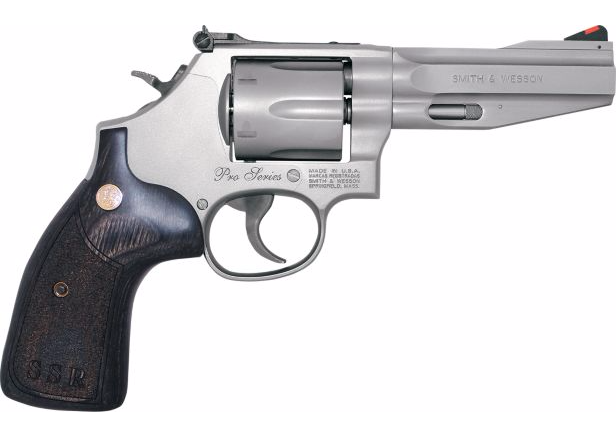 Editor’s Note: Check out our CCW revolvers list for some ideas for REV division. BUG is almost exactly what it sounds like – little guns, in .380 ACP/.38 special or larger caliber, that otherwise follow ESP rules. 0BUGs can be semiautomatic and have up to six rounds in their magazines, or revolvers loaded with no more than five rounds at a time. They include J-frame revolvers, Glock 42s ($399.00) and Glock 43s ($449.99), and the like. 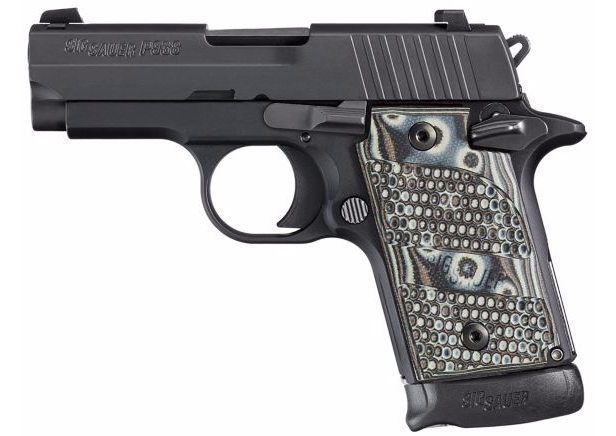 The SIG P938 is also an excellent, if pricy, choice. As you can see, almost any iron-sighted pistol can compete in IDPA somewhere. You don’t need to know what division your gun is to show up at a match – just know what you’re shooting and whether any modifications have been made (and what those generally are), and the match director will be able to help put you in the right division. If your gun doesn’t fit into one of the divisions above, the match director of your local match may also permit you to shoot in a “Specialty Division” – just ask! In general, most match directors would rather have you shoot your first match than be concerned about the specific legality of your gun under the rulebook. For purposes of your first match, picking a division is really just an administrative matter. The rest of the equipment rules are more important. The gun will need to be carried in a holster that is attached to a belt (that goes through pants belt loops) at or just behind the shooter’s strong-side hip. It can be inside or outside the waistband. You will also need three to five magazines for semiauto pistols, or as many speedloaders or moonclips for revolvers. They can be carried on the opposite side of your belt, or just in your pockets. If you don’t have a holster at all, something like the Blade-Tech IDPA Competition Pack ($70.00) is a good basic set of gear. The last necessary piece of equipment for IDPA is something else you already have: something to cover up your gun with while you are carrying it. A concealment garment can be as simple as your shirt pulled down over an inside-the-waistband holster or a light jacket or vest tossed over top of your outside-the-waistband holster. At some clubs, first-time shooters are not required to use a concealment garment at all, but you should bring one just in case. A common IDPA concealment garment is a simple vest. As you might imagine, the equipment rules get much more detailed and you should read the rulebook and ask questions as you get more involved in IDPA. The above should be enough to get you through your first few matches. This is a competition right? How do I win? IDPA is a “time plus” sport. Each shooter’s score is the amount of time it takes them to shoot each stage, or course of fire, plus any penalties that they might have picked up. For example, a competitor may have time added to their score because a specified stage procedure was not followed. Or time may be added because a target was not properly shot. Each point down is an additional second added to your time, so accuracy is as or more important than just being fast. Shooting the square of the head outside of the circle is one point down, as is the octagon around the circle in the middle of the body. The rest of the target is three points down. Missing the target entirely is five points down. Fortunately, most stages allow you to shoot as many rounds as you like at each target. The two best hits are normally the ones that are counted for score. Some, however, are limited and if you shoot extra rounds, you will be penalized. You might also be penalized if you don’t shoot the head portion of the target, if that is specified in the stage procedure. Make sure you don’t shoot targets that have open hands painted on them, though! Those are called non-threat targets and incur a penalty no matter where they are hit. And if the target is painted black anywhere, hits on those areas are counted as misses. If you see these on a target, don’t shoot it! In addition to paper targets which, if you’re lucky, aren’t moving, there are also steel targets. They come in various shapes and fall down when hit. Sometimes, when they fall down, they make other targets appear or move. 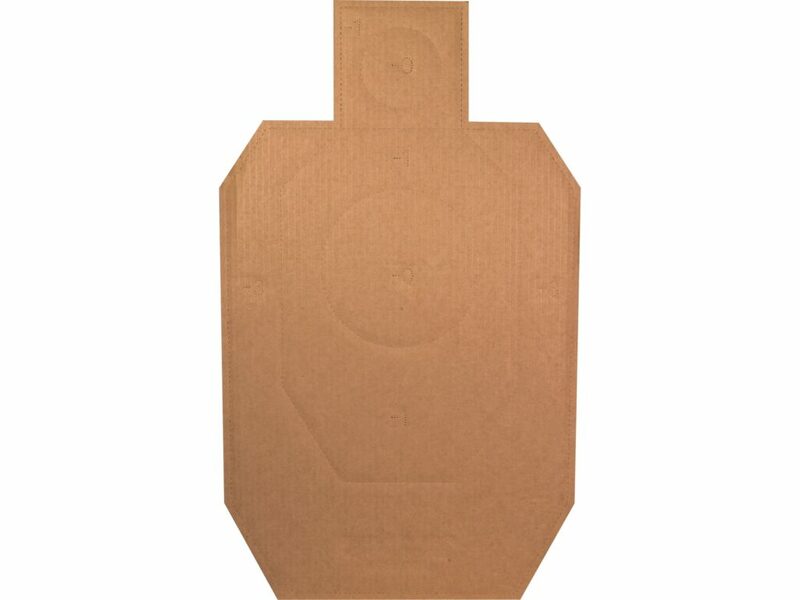 While there are other types of targets you might run into, paper and steel are the most common. Just remember: aim for the circles on the paper, and knock the steel over. All of the basic gun safety rules apply in IDPA. In particular, that includes ensuring that the gun is always pointed in a safe direction, that the finger is never in the trigger guard unless you are actually shooting, and that the shooter always retains control of the gun and where rounds end up. Muzzle Safe Points are brightly colored cones or other markers between which the muzzle of the gun must stay at all times while shooting. The Muzzle Safe Points on this stage were marked by brightly-colored stakes as indicated by the red arrows. The 180 is a little more nebulous. It’s an imaginary plane that extends out from your sides as you are facing squarely downrange, no matter where on the range you might be at that moment. Staying inside the 180 means always keeping your muzzle on the downrange side of that plane, even if you are facing another direction. One more safe direction to keep in mind: your body, and anyone else’s body, are not safe places to point guns in the context of a match. It’s called sweeping, and can happen when you draw your gun, reholster it, when you’re opening doors or windows, and other times. Remember where your body parts are at all times so you can avoid them. Even if your gun is always pointed in a safe direction, you still need to make sure that you don’t leave your finger in the trigger guard while you’re drawing, loading, reloading, moving (unless you’re shooting targets while moving), unloading, and reholstering. In fact, you should make sure it’s really obvious to the Safety Officer that your finger is out of the trigger guard when it should be. The trigger guard should be visibly empty from a distance, whether the Safety Officer is standing to your right or left. Trigger finger high and straight makes it easy to not only stay safe, but show you’re being safe. Keeping your finger out of the trigger guard also helps with the other major safety rule: keeping the gun under control and rounds where they should be. Generally, that means dropping the gun is bad, letting rounds loose while you’re performing gun manipulations is bad, and shooting over the berm or in other unsafe directions is bad. Breaking the safety rules can result in disqualification, meaning that you won’t be allowed to shoot the rest of the match. While you absolutely need to be careful about staying safe, you don’t need to worry about being fast or feeling rushed – take all of the time and attention you need and you will be fine. Range is hot – eyes and ears! When you hear this, it’s time for someone (maybe you!) to get ready to shoot. Make sure you’re wearing your eye and ear protection because it’s about to get loud. Load and make ready! This indicates that the shooter should get their gun in shape to shoot the stage. Until the shooter hears this, his gun should stay in the holster. Once the gun is ready to go, the shooter will assume the start position – usually just standing naturally with hands down by his sides. Are you ready? Here, the Safety Officer asks the shooter a question. If the shooter nods or doesn’t respond, then the Safety Officer will continue with the commands, but it’s perfectly okay to answer no. Stand by. The stage is about to start! Soon after the stand by command, the actual shooting part is started, normally by the BEEP of a shot timer, which is a device that listens for loud noises and can tell you how long it’s been from the beep to each shot fired. STOP! You won’t hear this on every stage or with every shooter, but if you do, the shooter should freeze immediately and do nothing but move their finger out of the trigger guard. This command can be given for a number of reasons, including safety problems and issues with the stage or range. If finished, unload and show clear. The Safety Officer will make this statement once the shooter looks like she is finished with the stage. Here’s a hint: if the Safety Officer doesn’t sound very certain, look around and make sure you really are finished before you unload your gun and present the locked-back slide or open cylinder to the Safety Officer. If clear, slide forward/close cylinder is just what it sounds like, keeping in mind that the shooter should also confirm that the gun is fully unloaded because that ultimate responsibility belongs to the shooter and not the Safety Officer. Pull the trigger. At this point, the shooter should point the gun into the berm or backstop and do as directed by pulling the trigger as a last check that the gun is truly unloaded. If a loud bang occurs, that’s a disqualification. 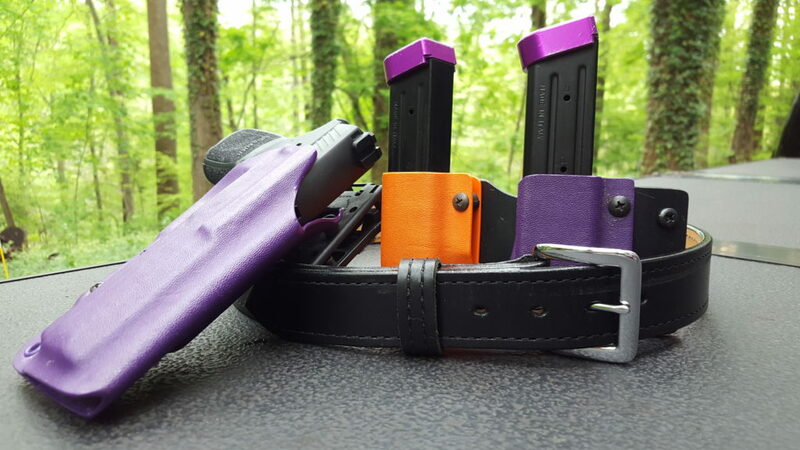 Holster by returning the gun into the holster, at which point the Safety Officer can say that the range is clear so that scoring, taping, and resetting can happen and the next shooter can get ready to go. The rules that matter when actually shooting IDPA are rather straightforward. Shoot targets from positions of cover when available. For your purposes as a new shooter, shoot targets from where you’re told to shoot them (and ask, if you aren’t sure). If you’re told by the Safety Officer to shoot the targets “freestyle,” you can use both hands or you can use just one hand if you like. If you’re told to use one hand, use that one. Pie is delicious, but for IDPA, slicing it is working your way from the outside to the inside and engaging targets as you see them when you move into the opening next to the wall you started from. Don’t move your feet from behind the fault lines though, as they indicate the furthest you may move when in a specific position. Reload your gun when it is completely empty. If you would like to reload when your gun isn’t completely empty, you will need to put all of the ammunition you just removed (in its magazine or moonclip, if that’s how you removed it from the gun) into your pocket. That’s all. Simple enough? I think you know what you need now to show up at that first match. You’ve scheduled a match, gotten your gear together, figured out the basic rules you need to get started, and have finally actually made it to the match. Now what? Hopefully, you’ve arrived early enough to help set up. Even though you may be new to the game, there are things to be done that anyone can do and you will get to know the people and the range better. This is from a USPSA match, but it gives you a pretty good idea of how much work it takes to set up, run, and tear down just one stage in a big match. If you’re carrying when you get to the range, make sure to ask for the match director or a match official immediately, so they can tell you how they want to manage your gun. IDPA ranges are generally cold ranges, meaning that loaded guns are only permitted under the direct supervision of a Safety Officer. If you’ve brought a gun to shoot, leave it unloaded and in your bag until you’re told otherwise. You can put on your belt, holster, and magazine pouches, and you can even load your magazines, but leave the gun alone for now. Don’t handle your gun unless you are at a designated safe table (where you can’t handle ammo) or have been directed to do so by a Safety Officer. You will likely be asked to attend a new shooter orientation during which basic rules and safety procedures will be summarized. Some clubs may also match you up with a more experienced shooter who can help guide you through your day. Whether or not either of these are provided, feel free to ask questions so that you can understand what’s going on at that particular club. Matches are made up of several individual stages. There are three ways you will get to shoot them all, from most to least common: as part of a squad of shooters who each shoot a stage, then move on to the next stage as a group; each stage in order all at once; or by going to each stage on your own in any order you like. Regardless, there will be a Safety Officer at each stage, either as part of your squad or assigned to the stage itself. That person will work with a scorekeeper to run shooters through the stage and record times and penalties. Everyone else on the squad has work to do too, though. In addition to the person actually shooting the stage, there are also the shooters on deck and in the hole. The shooter on deck is the next person up and should be ready to step into the start position as soon as the stage is cleared. The shooter in the hole is up after that and should be making last-minute preparations to be on deck. The person who has just shot the stage will usually be busy reloading their magazines or otherwise decompressing from what they’ve just done. Everyone else? They should be taping and resetting targets as soon as the Safety Officer indicates that it is safe to do so after each shooter. What is taping and resetting? 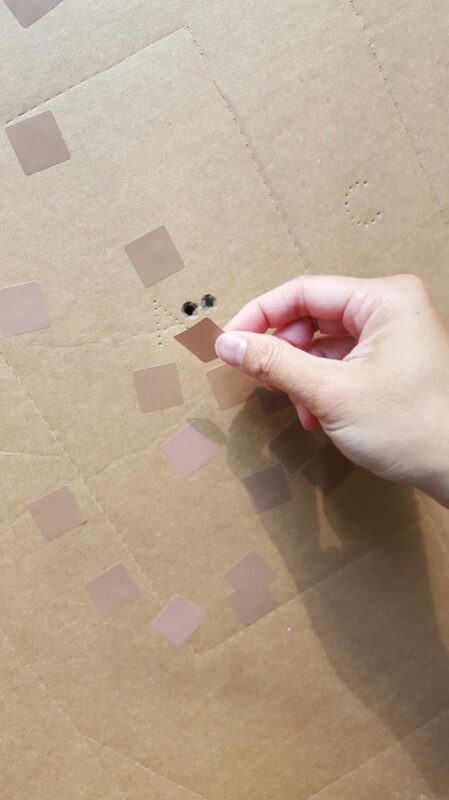 Exactly what it sounds like: putting stickers or tape over the holes in cardboard targets so that you can tell where the next competitor’s hits are (after they’ve been scored! ), and standing up reactive targets so that they be shot by the next person. Taping targets is exactly what it sounds like: patching bullet holes with stickers so the next shooter gets a clean target. After everyone has had the chance to shoot every stage, don’t take off for home right away! Because IDPA matches are mostly run by volunteers, all hands are appreciated to help tear down the stages, clean up the range, and put everything away. Once you’re done that, the only thing left is to wait for scores. Check with the match director or one of your new friends to find out where they’re posted – chances are pretty good they’ll be on PractiScore first. Wherever they are, don’t get too worried about your results. They aren’t as important, or memorable to anyone but you, as the fact that you showed up and tried IDPA. That was great! Now what? Did you have fun? Good! That’s the whole point. IDPA is a learning experience, but it’s one that can be enjoyable if you remember it’s a game. Matches are a place to make new friends, test out your shooting and gear, and improve your skills. If you enjoyed your first experience, hopefully you’ll go back for more, both at the club you tried out and at others in your area, and maybe even shoot a major match or two to see how you stack up against others. New shooting buddies are the best part of IDPA! Keep in mind that this entire article is a very high-level overview of what you need to know to improve at IDPA. 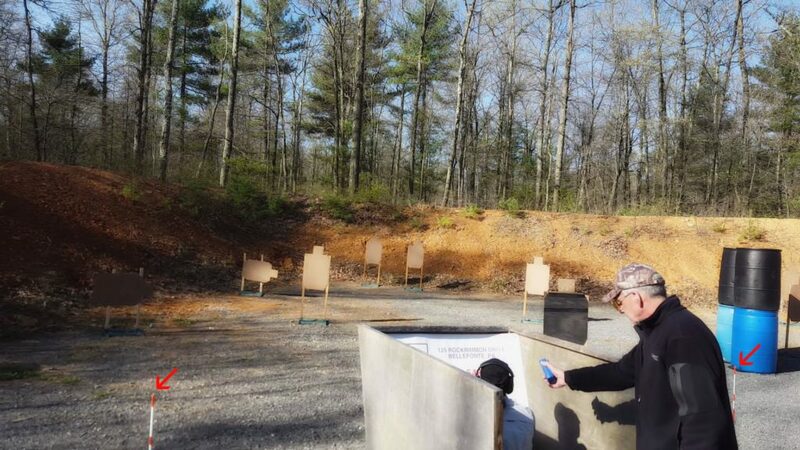 You’ll learn more once you shoot some matches and read the rulebook, which has many more details that you’ll want to dig into if you decide to shoot IDPA seriously. 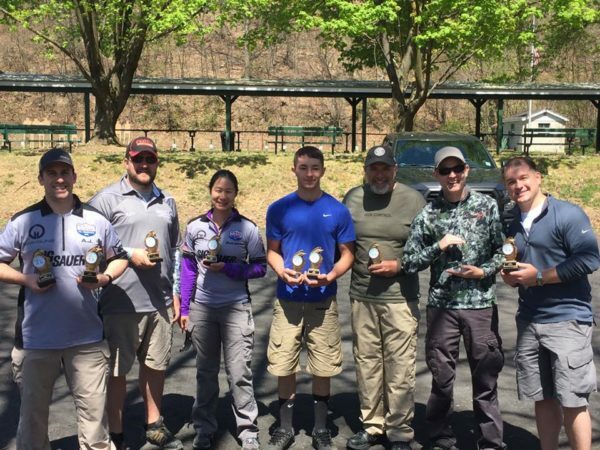 Whether your goal is becoming the best or having fun on the occasional weekend, you should consider getting classified by shooting the IDPA Classifier Match (PDF), which is a standard match that is set up the same by every IDPA club in the world. Your time on it determines your classification level: Novice, Marksman, Sharpshooter, Expert, or Master. No matter where you land, there’s somewhere to move up, as there is a Distinguished Master classification awarded only at certain national-level matches. What IDPA looks like at the top, with perennial champion and Distinguished Master Bob Vogel. Classification is not only necessary to shoot major matches, it’s a way for you to track your improvement over time. Because it’s the exact same every time you shoot it, the only variable is your shooting. It’s also a way for you to compare yourself against people shooting at the same general skill level as you are, just like divisions are a way for you to compare yourself against people shooting the same type of equipment you are. You might also enjoy getting involved with running your local club. 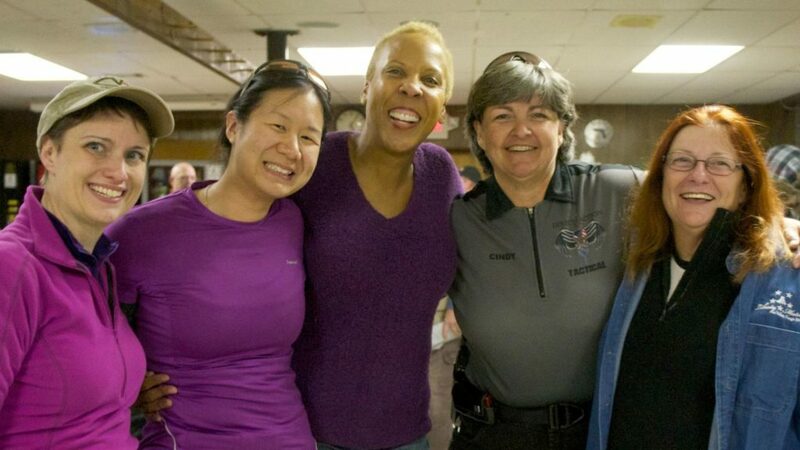 Helping with setting up and tearing down the match is one thing, but IDPA is largely a volunteer sport and there are always opportunities to design stages and scenarios, assist with match administration, and even give back by guiding other new shooters in the game. But all that is for after your first match. Right now, it’s time to get out to your nearest local club and give IDPA a shot, then report back and let us know how you liked it! Are you planning on shooting IDPA? Do you have advice for those who might be thinking about it? Is there another aspect of competition you want to hear about? Let us know in the comments!